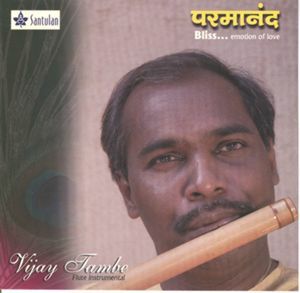 Vijay Tambe is a well known flutist known for his soul searching composition. He has featured in many albums and accompanies many artists and groups in concerts. He has traveled extensively in India and abroad and has accompanied Smt. Lata Mangeshkar, the Indian Nightingale in live concerts. Flute is very important for healing purpose. Vijay has featured in all albums of Vaidya Shri Balaji També, renowned Ayurvedic physician and music therapist and also accompanies him in concerts in India and abroad.